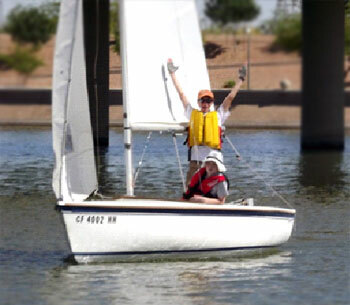 After the first race of the 2013 Arizona State High School Sailing Championship, after hearing the yells from the winning boat, it was apparent whose names would be etched on the championship aulde mug trophy. Cedric Lorch (son of multi-year AYC club champion Martin Lorch) from Valley Lutheran HS and Mitchell Wenger from Connolly Middle School took home the hardware. But of the seven boats racing, the team of Graydon Sharp and Peter Blake kept the heat on with steady finishes and took second, just four points behind. 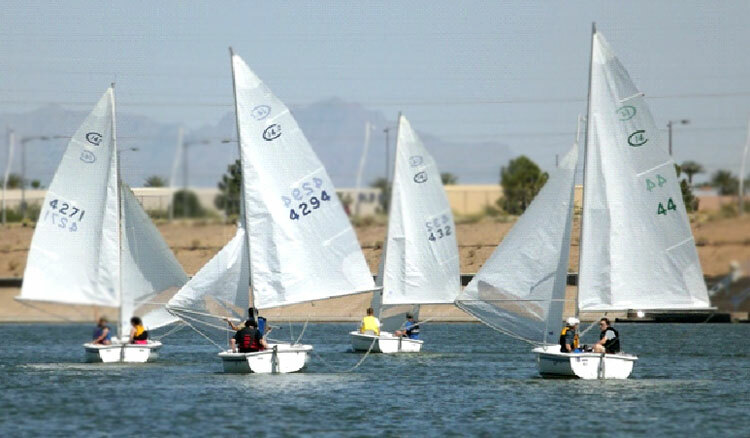 Race committee chairman, high school sailing coach, and instructor George Tingom said that this year’s event was by far the best for the championship and thinks next year’s could be even stronger. This year’s champions vow to be back for a repeat. 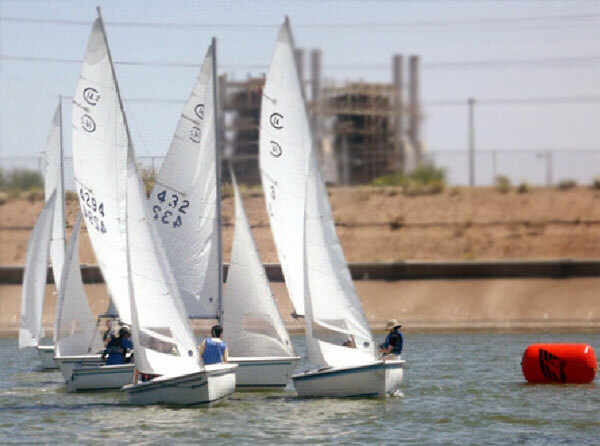 Rounding the mark at the 2013 High School Championship Regatta. Wing-on-wing downwind at the Championship Regatta. Competitors surround organizer George Tingom. Champs Cedric Lorch and Mitchell Wenger hold the hardware.